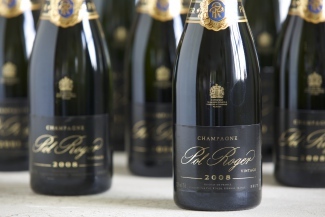 At the time, we pondered what their success with the vintage could mean for the prestige cuvée release – Pol Roger Sir Winston Churchill 2008 – and now it seems we might be close to an answer: Sir Winston Churchill 2008 will be released in Autumn 2018. Sir Winston Churchill was a close friend of the Pol Roger family, prompting the house to name their prestige cuvée after him. Pol Roger Sir Winston Churchill 2008 will be the 17th release of the prestige cuvée since the inaugural 1975 vintage. Although the UK is by far the biggest market for Pol Roger’s prestige cuvée, Sir Winston Churchill 2008 is likely to be in very high demand. As always, we will have more details here upon release.